Catastrophic Flooding Leaves over 10,000 People In Shelters. 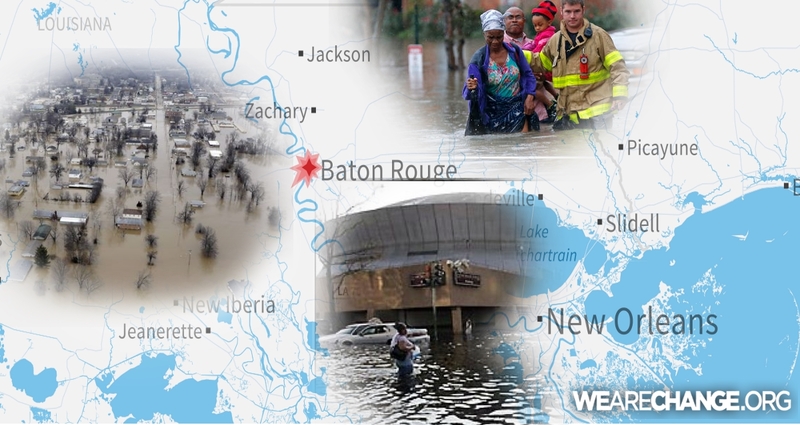 BATON ROUGE 8/15/16 Monday – More than 20,000 people have been rescued from their homes as search efforts continue on after widespread, catastrophic flooding came to rise in south Louisiana. The rising water was centered around Baton Rouge, Denham Springs and surrounding parishes. 10,000 of the number rescued spent Sunday night in the numerous shelters that were designated throughout the area. Celtic Studios, a Baton Rouge movie sound stage, and the Baton Rouge River Center were designated as additional shelter spaces on Sunday as previously established facilities saw a greater influx of evacuees than anticipated. President Barack Obama signed a major disaster declaration on Sunday evening meaning Federal aid will be designated to supplement state and local recovery efforts. FEMA has said that residents and business owners who sustained losses in East Baton Rouge, Livingston, St. Helena and Tangipahoa parishes can apply at www.DisasterAssistance.gov. Unprecedented rainfall totals closed roadways including the interstate and increased the difficulty of rescue efforts. As Saturday bled into Sunday, Louisiana State Police were stretching their already strained resources to rescue the occupants of up to as many as 125 vehicles stranded on the interstate. By the time the sun rose on Sunday, masses of volunteers had responded to evacuation scenes with what seemed to be every water-going vessel joining the rescue efforts. 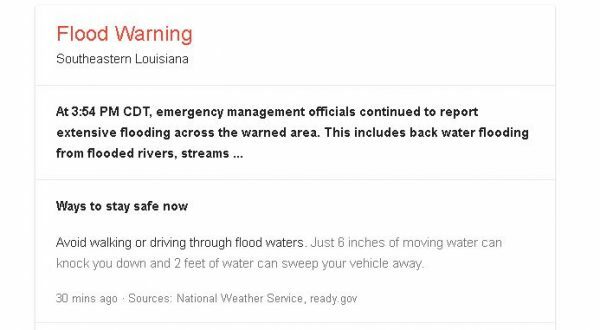 Two bodies were discovered in Tangipahoa Parish flood water on Sunday as water continued to rise in different areas adjacent to Interstate 12. Dive crews also located the body of a woman was found inside of a submerged vehicle in Baton Rouge. The confirmed death toll settled at six as darkness fell over a paralyzed region on the third day of flood conditions. Until cellphone service improves, the American Red Cross encourages everyone who lives in the flood zone or who were traveling across Louisiana when they were caught in it to register with them so family and friends will know they are okay. Those people can register online www.redcross.org/safeandwell. Many government offices and schools will be closed on the first day of a new week as residents begin to pick up the pieces left in the wake of heavy rains and swollen rivers. Search efforts will continue on Monday with News 2 resuming wall-to-wall coverage at 4 a.m. Coverage will be streamed on News 2’s Facebook page and on WBRZ.com. A slideshow of images submitted by viewers and reporters is available here.